Soccer season? Terrific! Allergy season? Not so great. This year, don’t let pollen, dander and other allergens win the game. 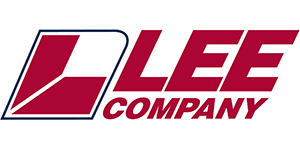 Breathe easy, with an air purifier from Lee Company. Don’t let allergens score a goal! Add a powerful REME HALO™ to your home's team! This air purification system removes unwanted odors from your home and improves air quality by attacking microbes like bacteria, viruses, and mold spores. Talk to one of our professionals today and enjoy our seasonal discount of $300 on a new REME HALOTM purifier. * Click here to take advantage of this special offer. *Cannot be combined with other offers or discounts. Residential service only. REME HALO™ system normally $1,295. Offer expires 05/31/2018. You can’t control the air at the soccer fields. You can learn How to Take Care of the Air In Your Home. The new month brings a new “Honey Do” list! Make sure you have all the basics covered. Check out this handy May Home Maintenance Checklist.